Could a Jumbo Loan be Wise Move for High Worth Individuals? The resurgence of real estate markets over the past year has brought about an unusual situation. While interest rates on conventional loans are still unbelievably low, new lending guidelines are making it a bit more difficult to approve a loan. At the same time, the number of jumbo mortgages continues to climb each month as buyers move up in property and take advantage of distinct advantages not offered by typical lending. While conventional loans are offered with adjustable rates, the vast majority of the loans are closed with a fixed term and fixed rate. However, jumbo mortgages are just the opposite. 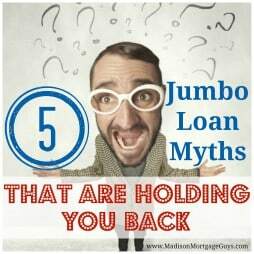 A jumbo loan can be closed with an ARM that is fixed for 1 year up to 10 years. Interest-only options are also available for people who have fluctuating incomes and can afford a modest payment each year and then pay a large amount towards principal once or twice a year. In addition, self-employed business owners or investors that make their money from real estate and stocks can have a tough time passing the stringent rules of a conventional loan. Jumbo loans are not as strict on the type of income used so long as it can be accurately verified. In the not so distant past it was common to see a fixed rate for a jumbo mortgage that was as much as 0.5% higher than a rate for a conventional loan. Over the past 2 years that margin has shrunk to 0.25% and in some cases the jumbo rate is actually lower than the conventional rate. Many of the lenders that are currently offering jumbo loans are choosing to retain the loan in their portfolio. Since they are not selling the loan they have more freedom to lower the rate in order to entice new customers. 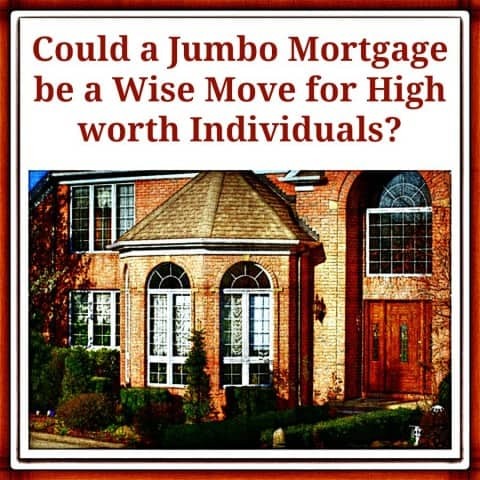 One of the biggest attractions to people with high net worth is the combination of the low rates available on jumbo mortgages along with the shrinking down payment requirements. People who have $100,000 or more in liquid assets can now pay between 5% and 10% as a down payment on a home and put the remaining money in their investment portfolio. With mortgages ranging from 4.25% to 4.75% and the stock market averaging over 8% and sometimes higher on returns, this is a great move for these people. Obviously, there are some buyers that will not be able to take advantage of the jumbo mortgage. However, for the people who have prospered over the years from their own business or wise investments, this is a great time to take advantage of low rates and flexible terms for a truly dream house. I asked my friend and expert Holliston Mass Realtor Bill Gassett to get his take on the subject and here is what Bill had to say. A jumbo loan is the perfect financing option for a high net worth individual especially right now with interest rates being so attractive. Money is really cheap at the moment so it makes sense that if you have the financial means to do so your mortgage should be as large as practical. The thought process of a high net earner is that cash is king. Those that are in the fortunate position of having serious wealth want to have as much of their cash available to invest where they can make more money. A Jumbo loan allows net worth individuals the chance to keep more of their cash to be invested somewhere with the potential for a higher return. The thought process is that if a jumbo mortgage is going to cost 5%-6% and you believe you can make 10%-12% somewhere else it is better to be more liquid. A jumbo loan increases a borrower’s opportunity to achieve this goal as they can borrow more money. In the example above a borrower would theoretically be making an additional 5% or more on their money. Contact us below or apply online to see if you qualify for a jumbo mortgage! For loan amount over $484,350, see our jumbo VA loan program. For specific rate, downpayment and APR please contact us directly.